French carmaker Renault is to launch a new electric carshare service in Paris in September. It plans to have up to 2,000 Zoé and Twizy electric cars on the streets of the capital by the end of the year. The announcement comes as Autolib charging stations are being removed after City Hall decided to ends its contract with operators Bollore. 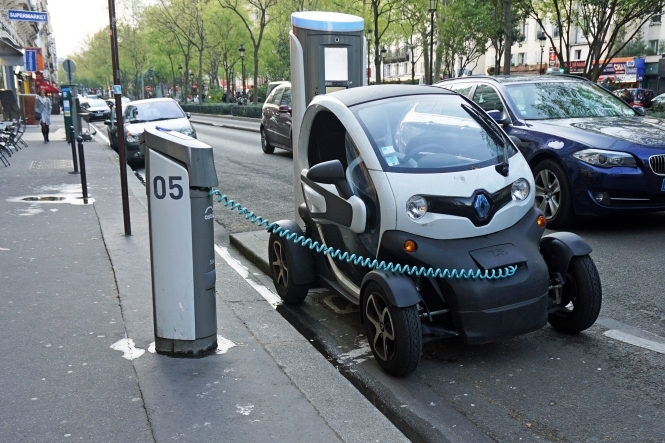 Renault is the first to company to seek to fill the void left by the debt-ridden demise of the Autolib operation, but a number of other businesses are reportedly hoping to capitalise on the carshare business in Paris. PSA group – which makes Peugeot and Citroën – plans to put 500 cars on the streets of Paris by December, while car hire company Ada is set to launch a fleet of 50 cars in the 11th and 12th arrondissements. Renault has yet to provide pricing details for the new service, but the cars will use some 3,244 parking places made vacant by the departure of Autolib, as will other new competitors in the carsharing market. Critics say the new services, which focus on the centre of Paris, will barely scratch the surface of the loss of Autolib, which was active in about 100 communes in Ile de France. Unlike with Autolib, users of the service will not be able to reserve parking spots. However, the cars' GPS will guide drivers to the nearest available free spaces. The SAVM union (Autolib' Velib' Métropole) called for the plug to be pulled on the service last month after it emerged the business could rack up debts of €293million by 2023.